Nice video review. The camera work excellent also. Content spot on. good stuff! Thanks! What kind of carabiners are you using? Rock climbing carabiners? Or just cheap ones? I just bought one. And I don't know if I should buy rock climbing carabiners or if any will do. i found it interesting that you liked the foot box so useful and it made em curious to how small the hammocks you normaly use are to not be able to do that in all of them? what temps do you use the under quilt in or do you use it all the time? I enjoyed your review and basically do the same but with a few minor changes. I leave the carabiners attached to the straps all the time , this way they are there and ready to be used. This is the biggest benefit for me …Camping in the swamps of Florida and the 10,000 islands ( Everglades ) area. I can vouch for the Warbonnet Blackbird being mosquito proof. Out of all the hammocks I have only two are totally bug proof the Warbonnet Blackbird and the Clark Tropical hammock. Not just talking about just the netting over the top of the two but all the material that makes up the hammocks. Both have been my go to hammocks , for a long time , when camping in buggy areas.Both are side entry hammocks , The Blackbird only on one side and the Clark Tropical , either side. During the night when Mosquitoes on the outside of the hammock look like someone is dumping black pepper past your hammock it is great when you know they can not get to you. My old model of the Hennessy Safari Del. is a bottom entry and the bottom is not bug proof , the would bite threw the bottom material. Back then I wanted to switch to a bug proof side entry. Today Hennessy has a choice of either a bottom or side entry. Plus I understand they have one hammock that is bug proof all the way around. When I am not using the under quilts and use the Therm-A-Rest in a hammock I inflate it about half way so it forms to my body better. For pack-ability in my backpack my Blackbird is the smallest package of my totally bug proof hammocks. The main reason for that is that the rain fly is not attached to the hammock. You have a wide choice of the rain flays since they are purchased separately. Nice job. I'm getting one. Top notch review. Cheers. NL, Canada. Great review man. You covered everything I wanted to know, i.e. the under-quilt and the shelf/tie-out. Thanks! Thanks for a great review. There are dozens out there about the Blackbird and this is one of the most useful and thorough. No need to sell me though. I've had a Blackbird for 5 years. and just upgraded to the XLC. Excellent reviewer, I am a certifiably crazy hammock collector; 8 to date including a Hennessey that I have never really liked. I want this one! Just wondering if you kept your ENO and Hennessy? And if so, do you still use them from time to time or let friends try them to get them into hammock camping.. This hammock is definitely my next purchase, the XLC. I like the looks of that flat lie you're getting- and that shelf. So far I started with the doublenest onelink, went to the Hennessy Deluxe Asym Zip.. (Seems everyone goes this same route!) And now want this one. I plan on keeping them all- and drag friends out to hopefully get them into this addiction as well. I felt both the ENO and the Hennessy were comfortable laying in- but I'm still not getting the best night sleep out there yet. Still experimenting-and just got an underquilt.. So still learning. Very informative vid– thanks again for sharing! Does the ridgeline adjust? If not could I remove it to attach my own RL? thanks ! Outstanding review. I picked up my Hennessy Bottom Entry Backpacker Ultralight on Craigslist for $50 and although its been a great starter hammock for me, your review of the Blackbird has got me convinced it's time to upgrade. wow,great review. I'm sure this is the best hammock review I've ever seen. you made me wanna get one of these so bad. Great review!!. Haha! I as well went from the ENO to the Hennessy Hammock jungle safari to now getting ready to purchase the warbonnet blackbird xlc, by far your review is a contributing factor in the purchase of the warbonnet! Thanks for a great review! really nice review sold me on the war bonnet what under quilt are you using ? Great review! I have everything else for hiking, I might as well start saving for this. what sleeping pad & tarp would you suggest now-a-days with this hammock? thanks! 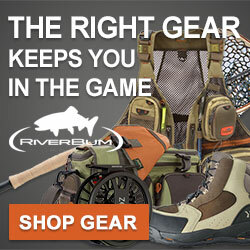 Have you ever thought about getting or tried out the warbonnet ridgerunner? Was curious about your thoughts on that..
Where do you put your pack when you're sleeping? Does it get wet when it rains? Do you still use it? Is this the XLC or the normal one? Excellent review! You answered a lot of my questions on the Blackbird vs the Hennessy Expedition Asym which I have. I also have the Warbonnet Ridgerunner which is super comfy but there are times when the poles and the big tarp are a pain. I like the Hennessy for its fast setup and compact size but I have the same issues with it that you mentioned. Maybe its time to sell it and get a Blackbird. Thanks for taking the time to make the video! One of best gear reviews I have seen. Thanks. Sold me. very nice detailed review …thanks! Did you get the 1.1 or the 1.7 fabric? I don't think you mentioned it in the video. Btw, great review. I also have the enough double best and I can't seem to get comfortable. The foot box on this hammock has really got me thinking about this being an option. I am a side sleeper for the most part. How do you sleep and do you know of anyone who is a side sleeper that this works well for them? I guess your ridgeline organizer is the one from Dream Hammocks. DD Hammocks doesn't have one like this. Hi Frozen, just wondering how you store your backpack when hammock camping? I usually store mine in my tent. Thanks and great videos! Great review I just got and tested out my Blackbird XLC. I'm 6'4" and can lay straight and flat. Sleeping on my side is also very comfortable. Watching you videos played a big part in helping me sort through all the hammock options out there. Also your Hennessy review helped my girlfriend out that is the hammock she went with. Thanks for your reply awesome keep up the good vids ? Do you use the under quilt a lot? I do a lot of PA trails and it can drop to 50's in summer and just ordered the XLC but not sure if I need the UQ or not? is the color brown or olive green? I really really liked this review. It was very very good. so, works in the winter ?